This one is going out to Gil Lebreton of the Star-Telegram down in Dallas, and his article entitled Whatever it takes, trade for McFadden . Ummmm, no. First off, as I stated previously, the Cowboys have other problems. Their wideouts are old and broken, T.O. is 34 and coming off nagging injures, Terry Glenn will be 34 in July and didn't catch a pass due to serious knee problems till the Giants playoff game. In short, Dallas needs some young blood at the wideout spot. Also, the CB spot needs serious attention. Terrence Newman played very well for the 11 games he could play—he had a torn plantar fascia in his right heel . On the other spot, Anthony Henry is fine, but is better suited for a safety spot. Oh, and third corner, Jacque Reeves left to go to Houston, leaving a cast of "Who Dat?" players to back up. And on the RB front, Lebreton says that in the 1990 draft, drafting Emmitt completed the package for the Cowboys and led to those Super Bowls. True, Lebreton, but did the Cowboys trade up to get him? No, Dallas got him with the 17th pick, resisting the chance to trade up and get Blair Thomas, the consensus no. 1 back in the draft. Also, where did Dallas get Marion Barber, the perfectly good no. 1 back they have right now, who just made the Pro Bowl? In the 4th round. In short, Gil, I feel your love for McFadden, whom you are certain will be in 10 Pro Bowls, but the Cowboys have other issues to take care of they want to get into the Super Bowl. For those guys following the Braves....wow, that Jair Jurrjens is looking good. Atlanta got a good one from Detroit last season. Here's a question for some people. A lot of folks on talk radio and in the blogosphere have a problem with Joba Chamberlain starting the season as a reliever and ending as a starter (which is the plan right now). But heck, a ton of pitchers have done that. In fact, that's usually the way it works...you ease in a youngster, get him some innings, and when you feel he's ready to handle it, you shift him to the starter role. Don't believe it? Here's a quick list off the top of my head. Ron Guidry, Johan Santana and Pedro Martinez. So everyone....relax. And now, for the ANDAPLAYERTOBENAMEDLATER's Jerk of the week award, I give you, Kyle Farnsworth. Seems that Mr. Farnsworth is blaming Joe Torre for his problems the past two years. Hmmmm, I can't see how Joe Torre is responsible for old Kyle giving up 17 gopherballs in 126 innings. Or 55 walks in the same innings. Or shirking duty and making Mariano pitch two innings because of a "balky back." in one week last April, Farnsworth gave up a 2-0 lead by serving up a 2-run HR to Nick Swisher. Two days earlier, he walked Luis Castillo on 4 pitches, then gave up 4 one-out hits in a row, leading to 4 runs against Minnesota. But hey, it's all Torre's fault. And lastly, a silver award winner for the jerk award, Mitch Williams. 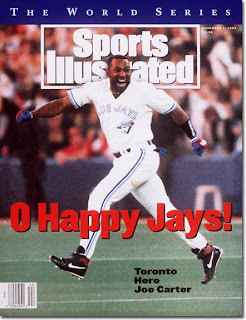 you remember him mostly for Joe Carter's walk-off dinger against him in the 1993 World Series. And now you can remember him for cursing refs at fifth-grade basketball games. Female refs. Female fifth-graders. "What I saw happening was completely unfair," Williams said in defense of himself. Right. Since Joe Carter's homer, Williams has bounced around the majors, and independent leagues, ending up managing the Atlantic City Surf for a couple of years until the fired him. Why? "...people skills were not shown to be strengths..." Really. Never would have guessed it. Mitch "the Wildman" Williams...I haven't heard that name in years. Glad he's doing so well! I have to agree with you, P-Cat, they don't need McFadden. I heard Dallas had an opportunity to go after Larry Fitzgerald for both their number 1 picks, which would have made sense for them. That guy is a beast. I guess the Cards wanted him more. I also heard that they were talking to Pacman Jones. Talk about a risk. It looks like the best thing Dallas can do is bring in some talent at corner and wideout via the draft. RE: The Cowboys, losing Reeves I don't really consider a loss. In 4 seasons and 60 games he has exactly 1 INT. I totally agree about going after McFadden, it would be a bad move. RBs are a dime a dozen, especially if you are splitting the workload between 2 backs.